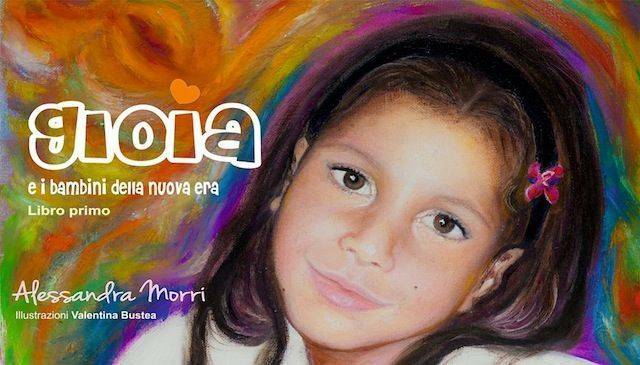 An Italian from Rimini, Alessandra Morri, presented the English translation of her book Gioìa and the children of the New Era and her educational method (The Gioìa Method) in two of the city's most important Holistic Centers. Meet Dorotea and Geremia, two special children with special powers. We are still living through the year of Italian culture and among the many events on Verdi, Tuscany and Opera (all topics that are cherished by the American aficionado) there are other Italian events worth of notice. 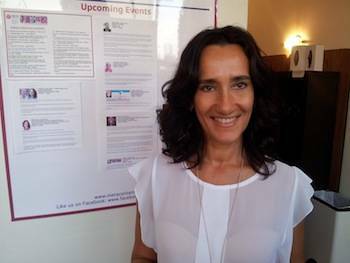 An Italian from Rimini, Alessandra Morri, presented the English translation of her book Gioìa e i bambini della Nuova Era (Gioìa and the children of the New Era) and her educational method (The Gioìa Method) in two of the city's most important Holistic Centers: NYC Edgar Cayce Center (Edgar Cayce - 1877-1945 - was a gentle humanist who became the most documented psychic of all time) and the Meta Center (an event facility focusing on Multidimensional Education, Transformation & the Arts). In her own words, Alessandra Morri is "a green mother, a teacher and a woman who, for the past ten years, has been living through a journey of internal spiritual awareness. “In addition to designing spiritual jewelry for the Isajoy ® line she leads training courses for intuitive teachers of the new Era and esperential Workshops that bring awareness through art and movement. In 2010 she created the first summer camp for Crystal (Spontaneous unconditional love and psychic healing abilities are key traits of these children who are seen as God's Gift to Help Save the World) and Rainbow Children (They represent our own continued evolution in higher consciousness as a species. Very few have been born as yet, but their presence is known and can be felt). In 2012 she created Gioìa, an holistic journey that has now become a lifestyle, with a school for the children and parents of the new millennium. The topic raised our curiosity, so we were able to meet Alessandra, look through the colorful pages of her book and ask her a few questions. Tell me something about Dorotea and Geremia... who are they and what do they do? They are two kids, the main characters of my book Gioìa e i bambini della Nuova Era (Gioìa and the children of the New Era). They live on Corluce Gioìa a place where time doesn't exist and where people, even the ones who do not know each other, or whose skin color is different or who believe in a God who goes by a different name, live together in peace with no arguments or wars. Doretea and Geremia tell us what they do while they live with their parents and their friends using their Super Powers. Each page of the book tells a story about an ordinary, every day action that takes place in this special world of Peace and Harmony, where, if you listen to your heart and let go of fear you live in happiness. This is how the world of the future is going to be. In addition to the story of Dorotea and Geremia, the book features practical exercises that are useful for developing Super Powers (powers we all have since birth) and integrating them in every day life. 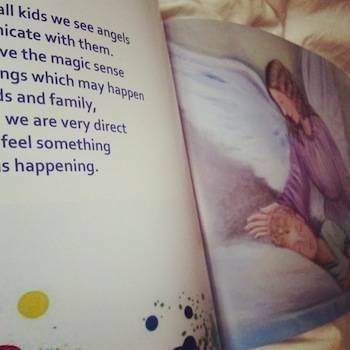 The book is a manual full of ideas, with a positive subliminal effect, featuring magical illustrations and binaural music that can be downloaded for free from my site (www.gioia4kids.jimdo.com). There are also a few practical tips, testimonials and questions from parents. Who are the children of the New Era? The children of the New Era, are the children who are born in the last few years, specifically since the year 2011. They have a strong need to be close to nature and to participate in activities that allow them to feel protected and welcome. Only if the environment that surrounds them and where they spend hours of their time is stimulating and supportive they can be in touch with their Divine side. I have channeled them as Green Children because they represent rebirth, a growth process and the ability to get fulfillment and living life concretely. These New Children are here with us to let Earth vibrate with an energy of peace and love, by visualizing light in dark places they are changing Human Collective Consciousness. Many define this moment in history as a moment of crisis, but in reality it is a great opportunity for change and a chance to create a new educational system for our children... to let them grow up happy, intelligent, calm, rich and with mental harmony... because if we want a better future, they are our starting point. How did your journey start and how did you get involved with the Children of the New Era? I have always had the need to share my life with children, ever since I was young. I studied to become a teacher but then, right after the birth of my daughter, who is a really special child and who is spiritually aware, I felt the need to raise her through a holistic education, teaching her to trust life. Now she is curious to get in touch with and develop her innate powers, indeed emotionally sane children learn easily and face life's challenges with more serenity. Unfortunately many children and teenagers today are depressed, anxious, insecure or bored because they cannot find a supportive environment that guides them in the development of their emotional status. Last but not least, many of them are diagnosed as hyperactive, because they cannot stand still or pay attention in school... so they are considered "sick" when in reality there is nothing wrong with them. They are just bored. It is urgent to change the school system because we cannot continue suffocating their true essence or giving them drugs. You have developed your own method, The Gioìa Method, how does it work? At the root of the Gioìa Method there is a strong respect for the child, his soul and his emotional health. It was born to guide these new children through the complete development of their cerebral activities, mostly through the development of the right side of the brain because it represents the gateway to knowledge and the use of the resources of the quantic universe. In our center we help young children go beyond the limits of the human mind thanks to specific creative labs, bioenergy games, physical movement (including yoga), creative visualizations and guided meditation. In this way, both the right (creativity, fantasy, imagination) and the left (logic, rationality, linearity) hemispheres of the brain develop equally with positive effects on their psychological, social and emotional states. Neuroscientists affirm that we only use 5% of our brain, the conscious side. Thanks to our activities, children learn to keep active, overtime, their uncouscius side...which is 95%. For a child up to 6 years of age, everything is easier as he is more in touch with his creative side. Letting him develop his unlimited abilities is easy and fast if done correctly. Another aspect of the Gioìa method is that we encourage free thinking and the development of human conscience by raising awareness on more than what is usually taught children... we address Energy, Nature, the Meaning of Life, Money and Wealth, Happiness, respect for the Environment, Schools of Thought, The Law of Attraction, the Development of Creative Awareness, Self-Esteem, Quantum Physics and more. Our motto is: we want children to be happy. The Gioìa Method is for children aged 0-11. A reminder: these last generations are more spiritually developed. At their birth children are very active. They have big eyes, and you feel like they want to look inside of you. When they are nine months old they walk, when they are two they know how to use the computer and when they are three they can speak just like an adult. My first piece of advice is to welcome them with lots of Love and Respect.